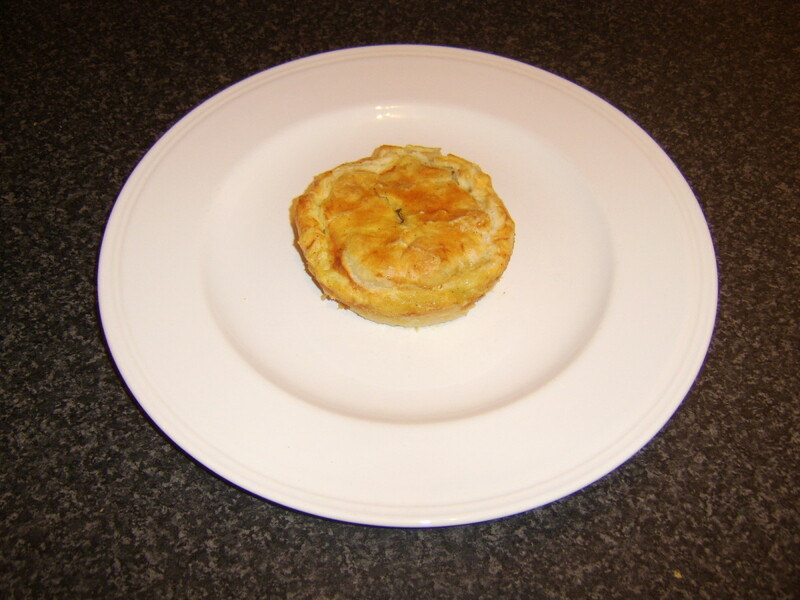 The pastry dough is made on the stovetop in two steps, one for each layer. 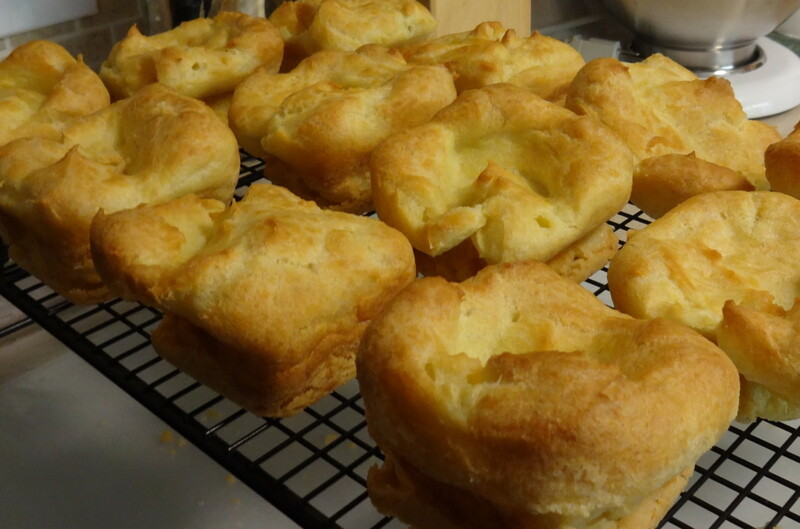 The bottom layer is a more crumbly base, and the top layer is similar to a cream puff. 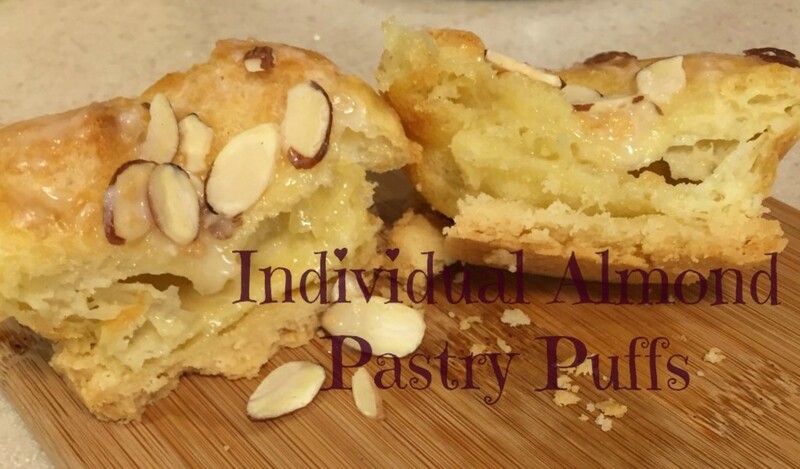 Once the pastries are baked and cooled, you will add a glaze, icing, or preserves, and top with sliced almonds or chopped pecans if desired. 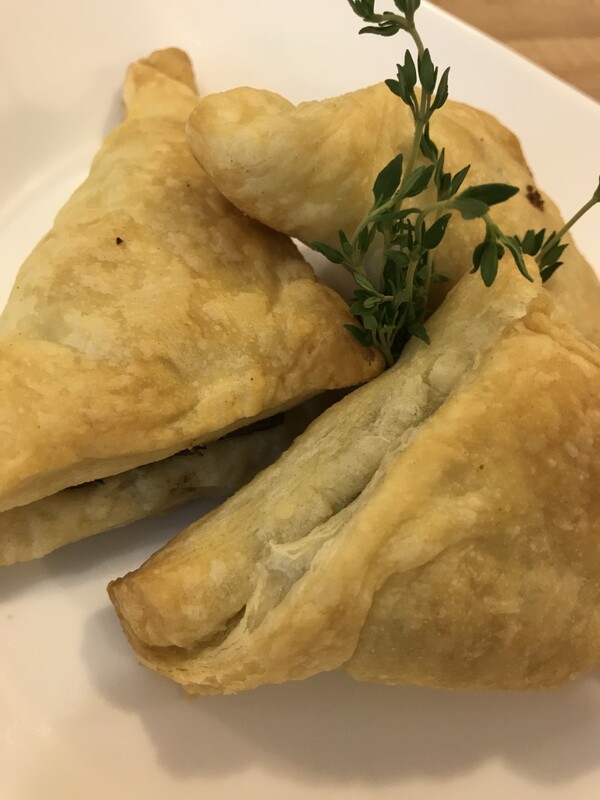 See pictorial steps below the recipe. Bottom Layer: Melt 1 stick of butter. 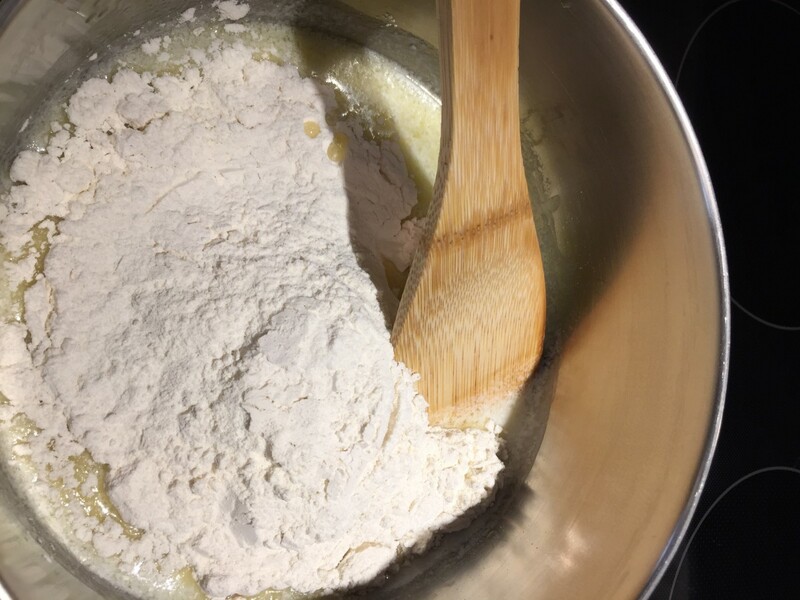 Stir in 1 cup flour. Divide dough into 12 equal parts and press into the bottom of each cup of a square muffin pan. Set aside. 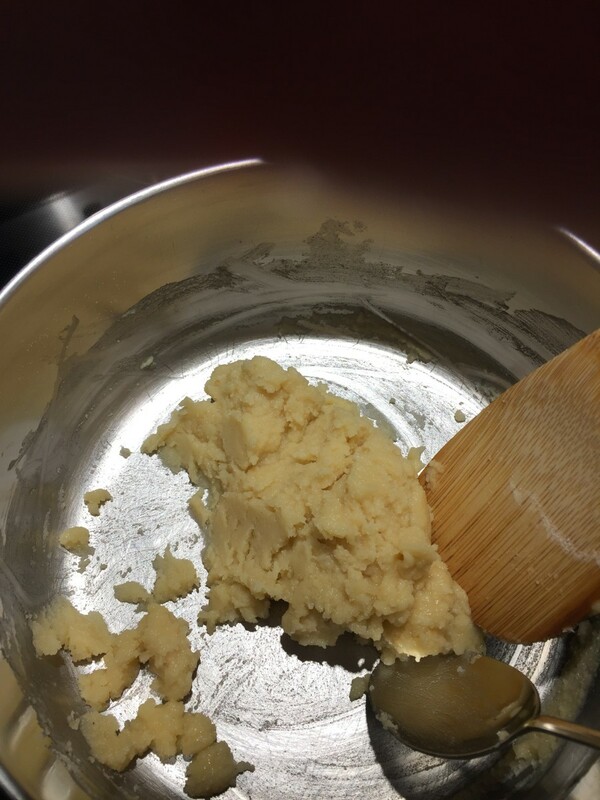 Top Layer: Melt 1 stick of butter, add 1 cup water, and bring to a boil. Stir in 1 cup flour and 1 tablespoon almond extract. Mix until dough pulls together. Remove from heat. Add 3 slightly beaten eggs, one at a time, and mix until smooth. Spoon batter into each muffin cup, on top of the first layer of dough, and using a spoon or spatula, spread the batter evenly to cover. Bake at 350 degrees F for about 40 minutes, until well browned. 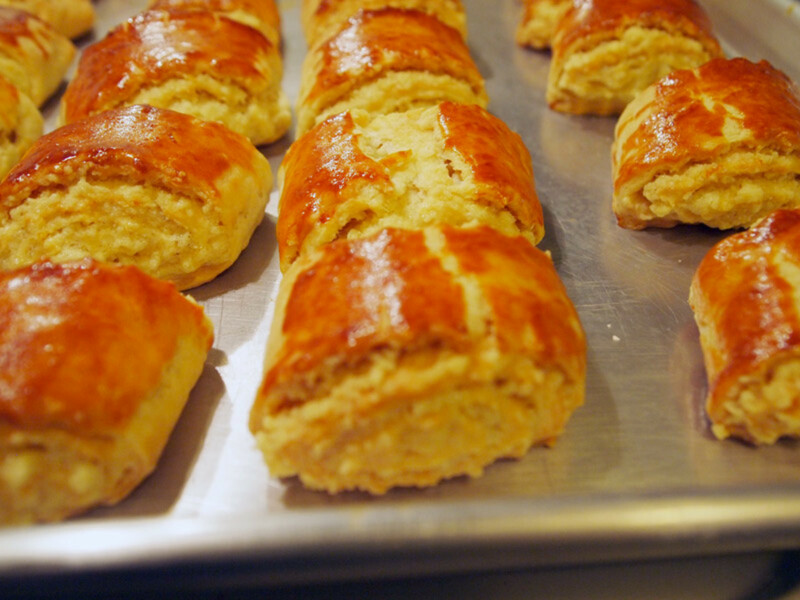 Remove pan from oven and carefully transfer the pastries to a cooling rack. When cooled, glaze and/or top the pastries as desired. 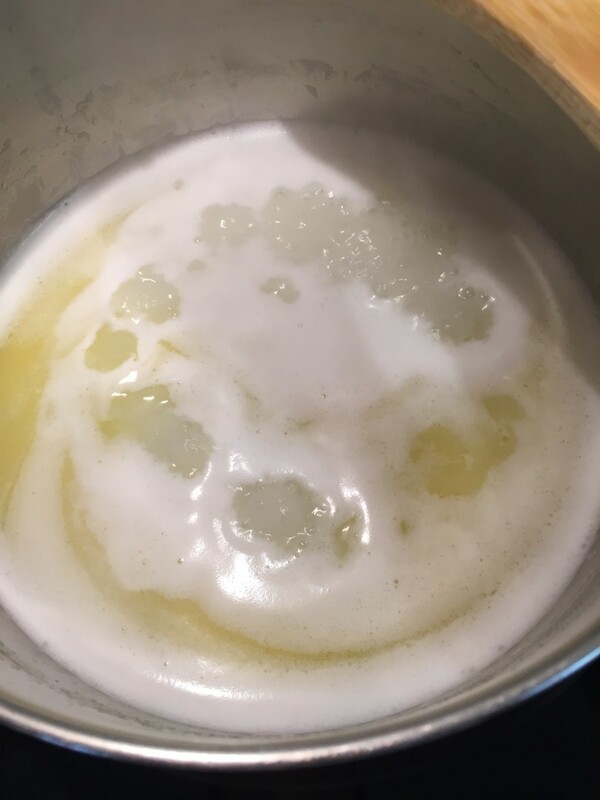 Melt 1 stick of butter in a large saucepan on the stove. 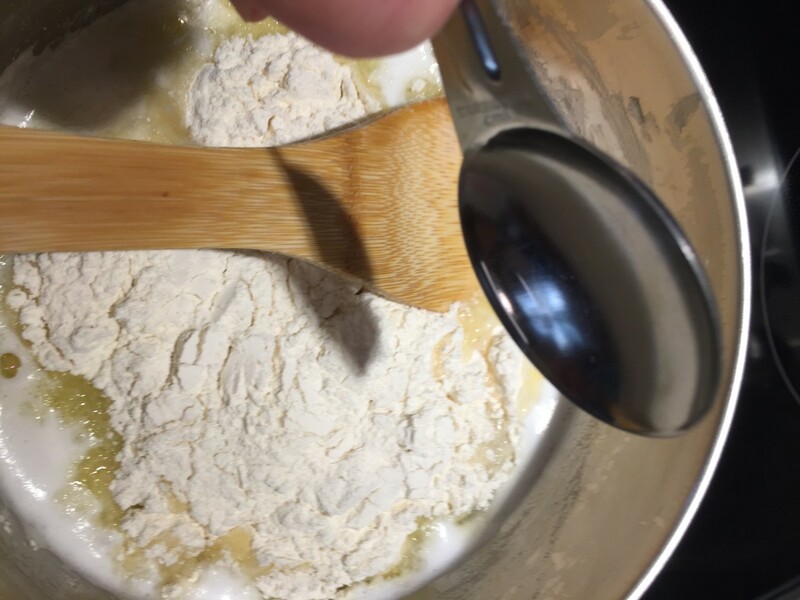 Stir in 1 cup of flour until it begins to pull together. This will happen quickly. Remove from heat. 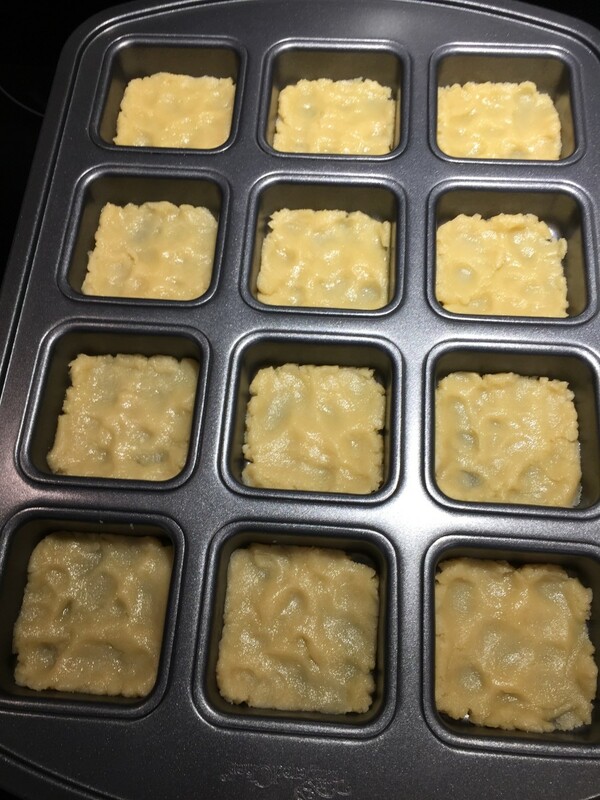 Divide the dough as equally as possible into the 12 wells of a square muffin/bar pan/brownie pan, and press in place to cover the bottom of each square. Because of the quantity of butter used in the recipe and the fact that my pan has a nonstick coating, I did not need to oil the pan first. 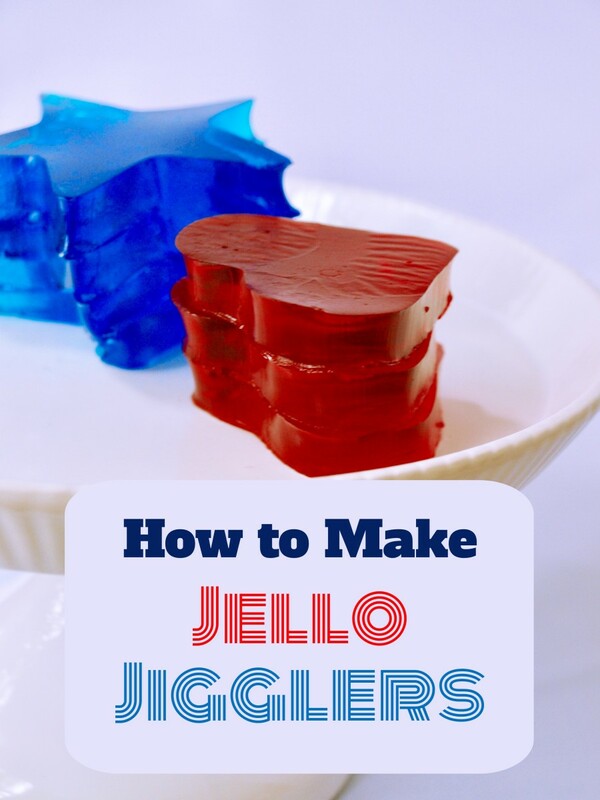 You can use the same saucepan to make the top layer. 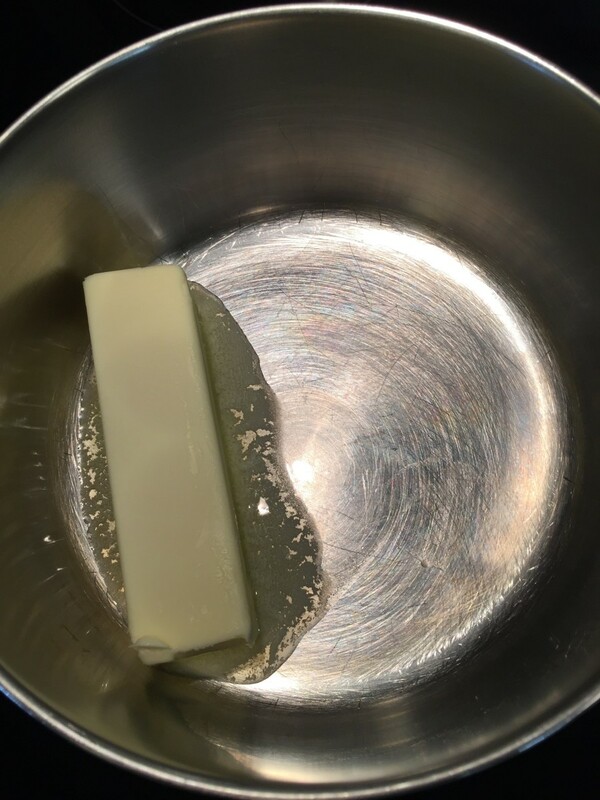 Again, start by melting 1 stick of butter. Add 1 cup of water and bring this to a boil. 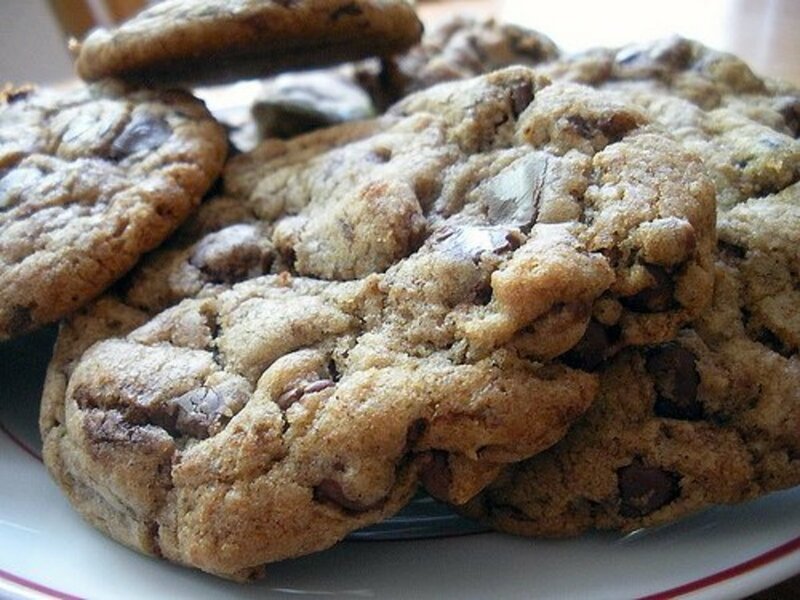 Stir in 1 cup of flour and 1 tablespoon almond extract. Mix until dough begins to pull together, and remove from heat. 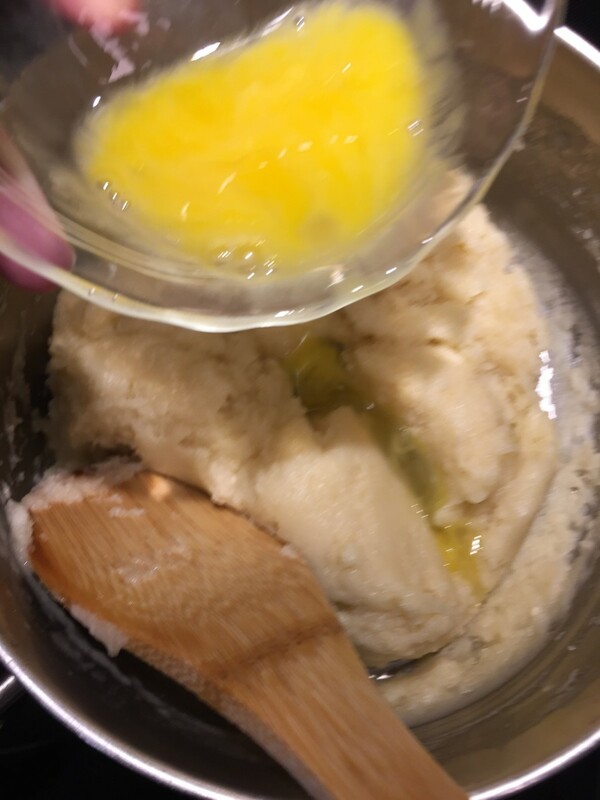 Now, mix in 3 slightly beaten eggs, one at a time, until the batter is smooth. 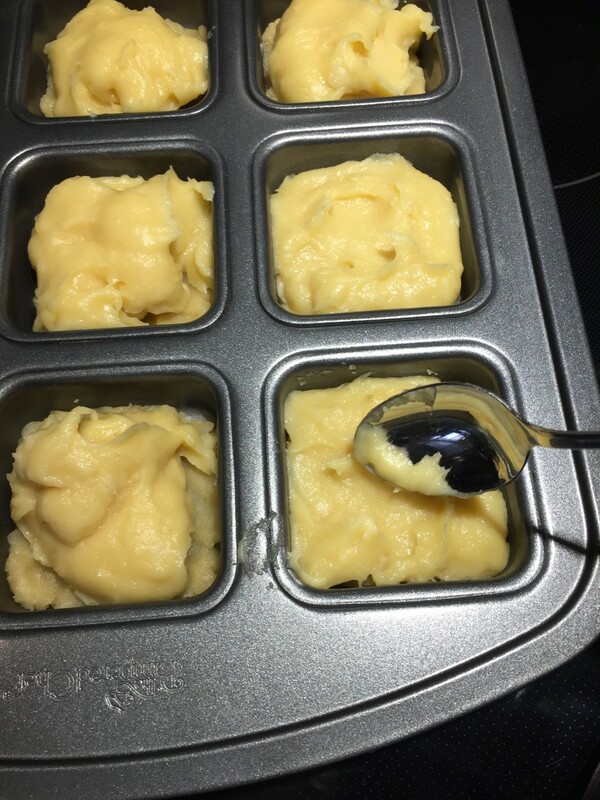 Divide the batter into each muffin cup and use a spoon or spatula to spread it evenly over the bottom layer. Place in a preheated oven and bake at 350 degrees F for about 40 minutes, until nicely browned. Remove from the oven and cool slightly. Then, using a spatula if necessary, carefully transfer the hot pastries to a rack to allow for even cooling. The eggs in the recipe will cause the pastries to puff considerably in the oven, but they may collapse a bit as they cool. 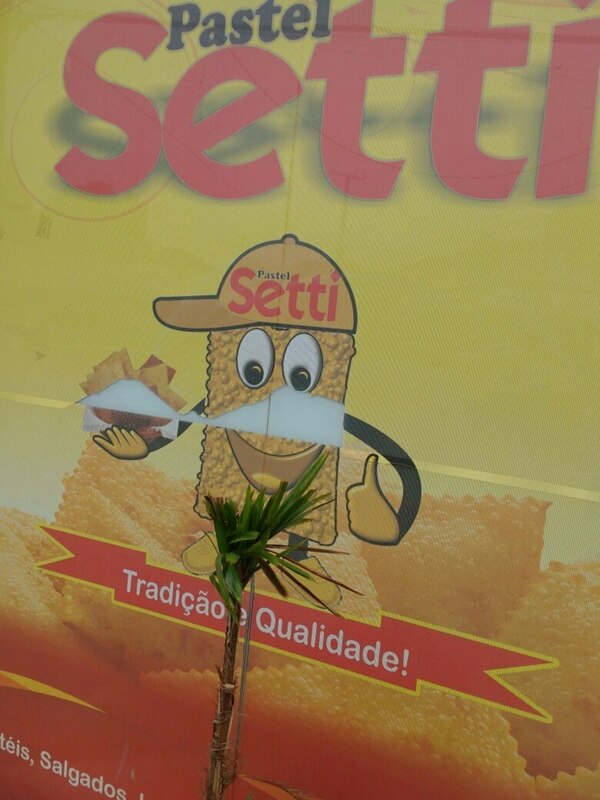 That is the nature of this type of pastry. Since there is no sugar in the pastry dough, this will not be a sweet treat without an added topping. 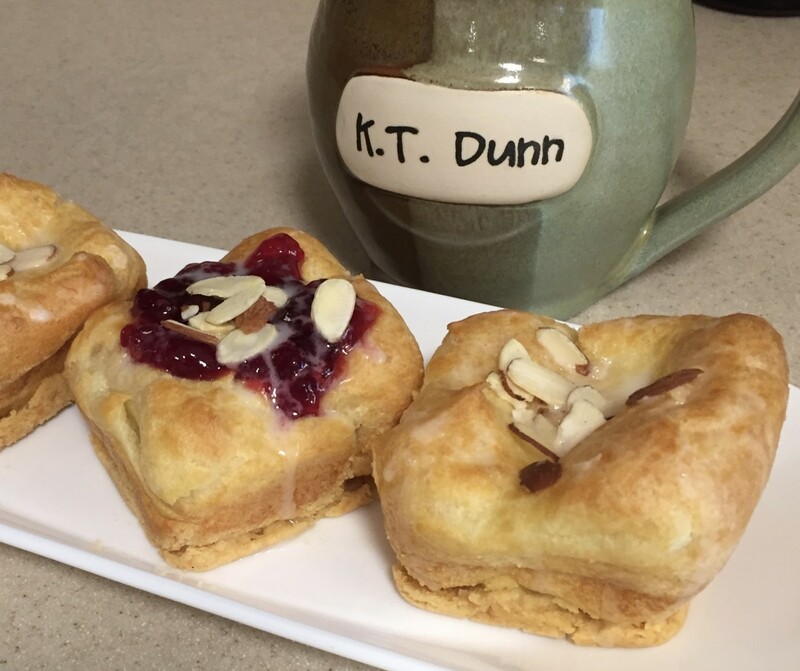 Drizzle a powdered sugar glaze over the pastries, or top them with preserves in the flavor of your choice. You can use both, if you like. Start with 1/3 cup powdered sugar. Stir in 1 tablespoon milk and a few drops of vanilla or almond extract. Beat until smooth. 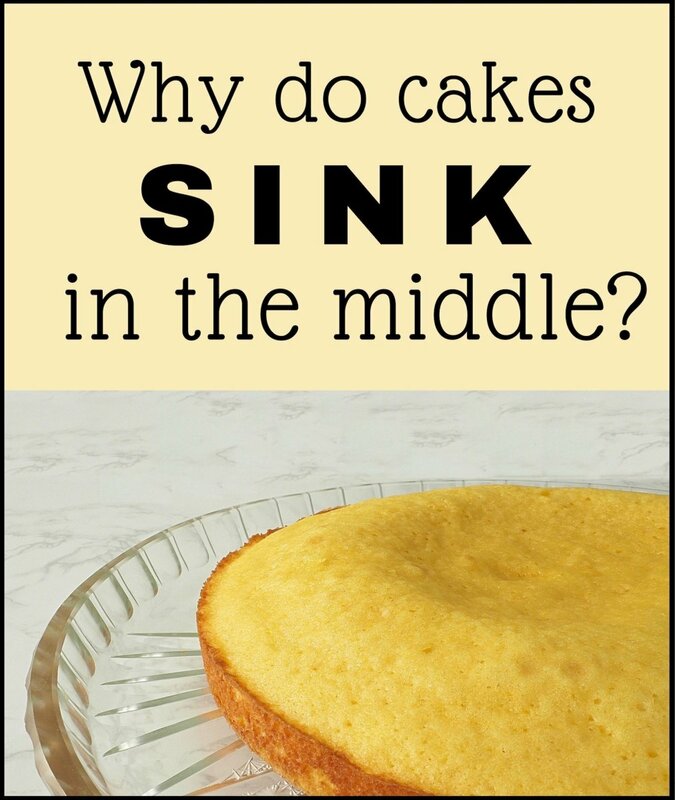 This makes a thin glaze. If you want more glaze, simply double or triple this amount. Make it thicker by adding more powdered sugar. *A quick method for light toasting is to spread the almond slices or chopped nuts on a small plate and microwave on high for about one minute. 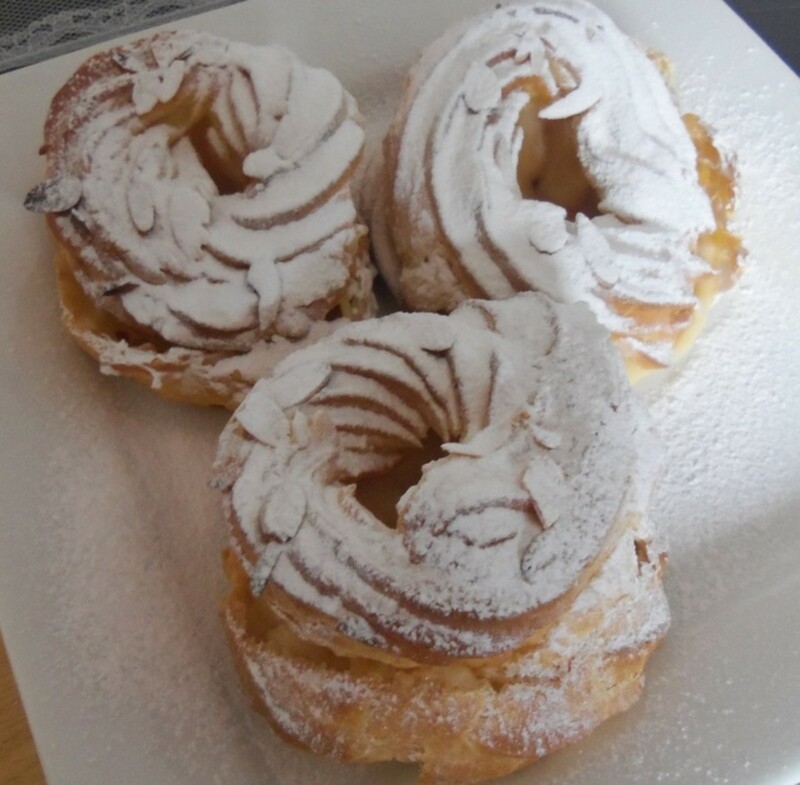 Served at room temperature or chilled, these pastries will taste better if eaten the day they are baked. Refrigerate any leftovers.